Welcome to Mastapeter Funeral Homes Inc. Since 1940 the Mastapeter family has carried out the tradition of personal care and compassion to every family we serve. Our responsibility is to help guide you through the many decisions of the funeral arrangement process. We understand how overwhelming this difficult time can be and we strive to help alleviate some of the burdens while creating a meaningful tribute to your loved one. We pride ourselves on providing a variety of professional services at an affordable cost. 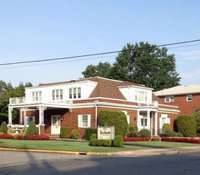 Mastapeter Funeral Homes currently has 2 locations in Roselle Park and Bayville, NJ. For more information please feel free to browse our site or visit our home in person. Our staff is available 24 hours a day, 7 days a week.